POR EL QUE SE MODIFICA LA LEY DEL REGISTRO CIVIL DEL ESTADO DE YUCATÁN, EN MATERIA DE ACTAS DE NACIMIENTO. POR EL QUE SE MODIFICA EL REGLAMENTO DE LA LEY DE GOBIERNO DEL PODER LEGISLATIVO DEL ESTADO DE YUCATÁN. POR EL QUE SE APRUEBA EN SUS TÉRMINOS EL CONVENIO PARA LA SOLUCIÓN DE CONFLICTOS DE LÍMITES TERRITORIALES INTERMUNICIPALES CELEBRADO POR LOS AYUNTAMIENTOS DE MÉRIDA Y UMÁN, YUCATÁN. POR EL QUE SE APRUEBA EN SUS TÉRMINOS EL CONVENIO PARA LA SOLUCIÓN DE CONFLICTOS DE LÍMITES TERRITORIALES INTERMUNICIPALES CELEBRADO POR LOS AYUNTAMIENTOS DE MÉRIDA Y KANASÍN, YUCATÁN. 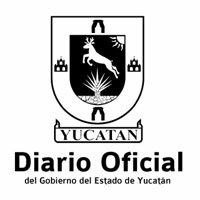 POR EL QUE SE EXTINGUE Y LIQUIDA LA COORDINACIÓN METROPOLITANA DE YUCATÁN.